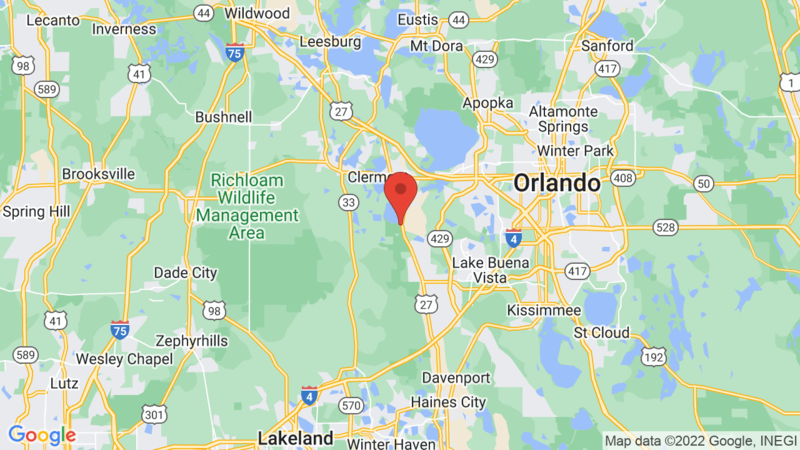 Lake Louisa State Park campground has 60 large full-hookup campsites nestled between Dixie and Hammond Lake and only 30 minutes from Orlando. Each campsite has 30 and 50 amp hookups. Most sites also have great views of the lake. In addition, there are primate equestrian campsites, youth group campsites and 20 cabins that overlook the lake. Campground amenities include drinking water, flush toilets, hot showers ($) and a dump station. There’s also an amphitheater, picnic area, group pavilion, fishing piers and miles of biking and hiking trails at the park. Lake Louisa’s equestrian primitive camp includes a four-horse paddock, fire rings, water hookups, picnic tables, pavilion, grills and a compositing toilet. Paddocks are available for equestrian users on a first-come, first-served basis. Wilderness Point and Pine Point offer two primitive campsites (up to 6 people each). There is no water or electricity, but each have a table, fire ring and grate. Primitive campsite reservations can be made by contacting the park’s ranger station at (352) 394-3969. Lake Louisa State Park includes 4,500 acres and is a popular destination for enjoying a variety of wildlife and other outdoor activities. Visitors can also enjoy boating, canoeing, kayaking, swimming, fishing, hiking, biking, horseback riding, and picnicking. You may also enjoy Wekiwa Springs State Park to the north or Lake Kissimmee State Park to the south. 3, 5, 29, 39, 55. Visted Lake Louisa State Park Campground lately? We'd love to hear about your adventure. Did you find us useful? Did we forget something? Anything our community should know before heading out to Lake Louisa State Park? course. Saw lots of wildlife. lakes for kayaking or fishing. Small campground store which also rents kayaks and bikes. Good restaurants just outside the park. Had campsite 5, partially shaded with some privacy. Most campsites are sunny with little privacy. I’ll be back.